Call for applications for the 3rd Sustainable Development Goals SDGs Youth Summer Camp 2019 in South Korea. The youth summer camp 2019 in South Korea is organized by the United Nations Office for Sustainable Development (UNOSD), the UnitedNations Project Office on Governance (UNPOG) and the Korea Environment Corporation (K-eco). The South Korea Summer Camp 2019 will be at Incheon, the Republic of Korea from 24 June, 29 July – 1 August 2019. The third SDGs summer camp will take place in Incheon, Republic of Korea. The Incheon Metropolitan City, as a dedicated partner of UNOSD, will offer participants opportunities to explore good practices and strategies for the SDGs implementation. Specifically, planned field trip at the camp will provide opportunities for the participants to experience and learn how the city promote Sustainable Development. The camp will be hosted in collaboration with the United Nations Project Office on Governance (UNPOG) and Korea Environment Corporation (K-eco) to maximize synergies. The Summer Camp consists of a half-day preliminary workshop and a three-day main camp. Experts from international organizations, academia, government organizations, NGOs and private sectors will deliver their insights on the SDGs to provide key background knowledge and facilitate productive dialogues. The diversity of the speakers will ensure the Summer Camp’s overall quality and motivate the participants to be fully engaged in discussions over the SDGs implementation. Each session will include a group work which will allow students to be highly interactive and encourage them to share creative ideas and critical thinking with others on developing a more hands-on approach to the SDGs implementation. The Summer Camp includes a half-day field trip to a project site located in Incheon city to illustrate how Korea is implementing the Agenda 2030 and the SDGs. Through this on-site study, the participants will gain more knowledge and experience on the SDGs. All sessions and programmes will be conducted in English. This event will be organized by UNOSD, UNPOG, and K-eco. The event consists of one preliminary workshop and the main summer camp. The pre-workshop will take place on 24 June 2019 at the Korea Environment Corporation Yeouido Training Office in Seoul and the main Camp will take place from 29 July to 1 August 2019 at the Incheon Airport Aviation Academy in Incheon, Republic of Korea. All expenses except for travel expenses to the venue will be covered by the organizers. Those who successfully complete the course will receive certificates. A short report on the camp with recommendations for future camps. Expand UNOSD’s contribution and partnership with young generation for promoting the SDGs. Those who are born between 1991 and 2001 are eligible to apply regardless of their nationality by submitting applications forms and supplementary documents posted on the organizers’ websites. 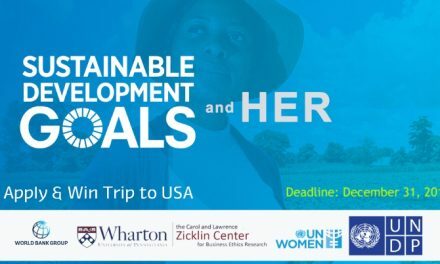 The organizers will select approximately 40 participants based on their motivation, capacities and English proficiency while ensuring gender and geographical balance. The previous Summer Camps were open only to college students, but this year’s camp has expanded its target participants to promote inclusiveness. 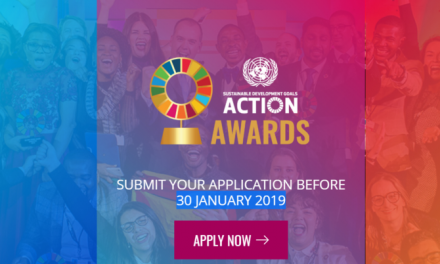 How to Apply for 3rd SDGs Youth Summer Camp 2019 in South Korea? First Download the application form and complete the form and insert scanned files (or images) of required documents. English Proficiency Test Score: Internationally and domestically accredited Tests (only TOEIC, TOEIC SPEAKING, OPIC, TOEFL, TEPS or IELTS) are accepted. Those who have completed primarily to tertiary education in English speaking countries are not required to submit English proficiency test scores. Instead, please attach a copy of graduation certificate as proof.